BASKETBALL — The vulnerability or lack of it in the City Oilers team will be tested when they face unbeaten Warriors in the National Basketball League tonight. The four-time league champions’ topsy-turvy start to the new season has hatched concerns beyond how they would manage to contend for this season’s title while conjuring up mixed results. Oilers have already lost as many games as they managed the entire regular season in the last campaign: three. Surely the Mandy Juruni-coached side look to be at their lowest ebb for the first time since their maiden NBL promotion in 2013. Yet Jimmy Enabu and Co. is presented with an opportunity to dispel the lingering fears of their title credentials if they manage to overcome a resurgent Pemba Warriors side at MTN Arena in Lugogo tonight. But by look of things, the task won’t come that easy given Warriors’ commanding start to the new season. The Kyambongo-based side are riding on a six-game winning streak that has left them the only unbeaten side in league thus far, and will be eager to keep their 100 percent record intact. There is a general feeling among the Warriors faithful that their side has the impetus to halt City Oilers’ stronghold on the league title. 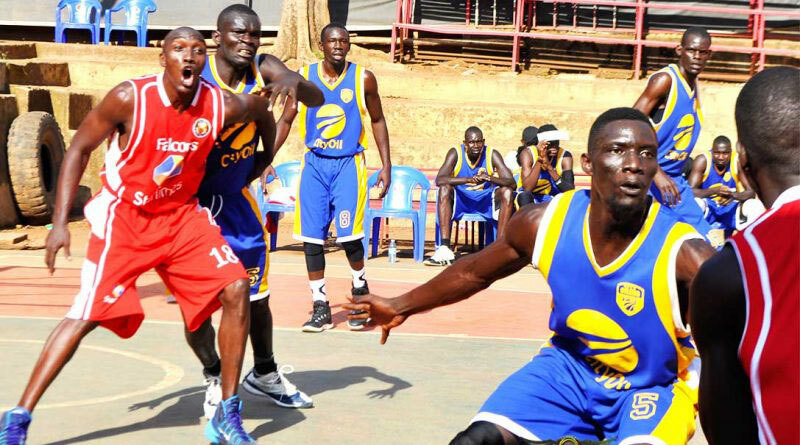 Coach Ronnie Mutebi has cautioned his players that they need to defend better, get aggressive in and outside the key and limit the Oilers’ shooters at the basket. Mandy Juruni will hope that his star players in Veteran Steven Omony, Skipper Jimmy Enabu, Ben Komakech and Burundian Landry Ndikumana show up with their best game faces. At the other end, the cast of veteran players Mike Buzangu, Phillip Ameny , and Syrus Kiviiri will lead the Warriors’ charge. What’s wrong with City Oilers? The general consensus surrounding City Oilers’ intrepid start to the new season is that the defending champions have lost a trait of invincibility. They look a shadow of a City Oilers force that bamboozled opponents with consummate ease in the seasons gone. The match-up against resurgent Warriors side tonight is City Oilers’ eighth tie but they have lost to title hopefuls Betway Power (60-56), UCU Canons (61-48) and Ndejje Angels to leave them with 4-3 run. The genesis of Oilers’ troubles, however, could be traced to the departure of inspirational player Kami Kabange who joined Rwandan side REG in January after four years with the league champions. Kabange was Oilers leading post player for four seasons, and surely life was always going to be hard for Oilers to adjust. The bold move of replacing Kami,as he is fondly known in Hoops circles, with a tried and tested Steven Omony was a masterstroke of business. But the evergreen Omony has not had a seamless transition in the team, and critics are already calling him hot air. The Kami Kabange-shaped hole is palpable. Head Coach Mandy Juruni has refused to be drawn in “the Kami Kabange–shaped hole” talk, rather he rues last season’s fatigue taking its toll on his players. City Oilers savoured an eventful 2016/17 season that saw them win their fourth consecutive NBL title locally preceded by FIBA Zone V triumph and FIBA Africa club champion ships exertions.